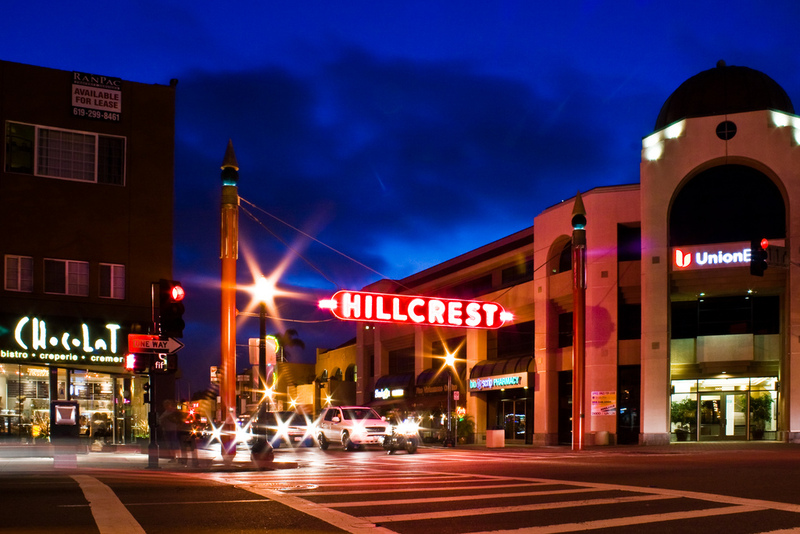 Hillcrest, San Diego Neighborhood Guide - BCS Real Estate Services, Inc.
Hillcrest is a central neighborhood situated just northwest of Balboa Park and south of Mission Valley and is known for being one of the most tolerant and liberal neighborhoods in San Diego. It’s an older neighborhood that was officially established in 1870 or 1871 depending on who you ask. In more recent times, it’s been through gentrification and now features many tree lined streets, craftsman homes and mid-century modern apartment buildings. 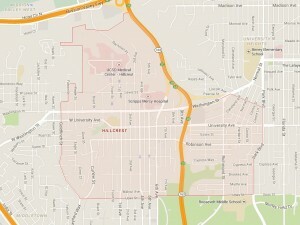 Parking can be scarce at times, and is often metered on main streets, but the numerous locally-owned businesses, including restaurants, cafés, bars, clubs, trendy thrift-stores, and other independent specialty stores make Hillcrest a great community for walking or public transportation. 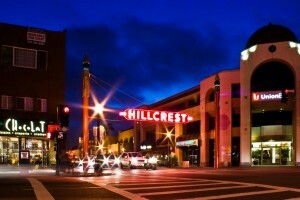 Hillcrest has a high population density compared to many other neighborhoods in San Diego, and it has a large and active lesbian, gay, bisexual and transgender (LGBT) community. The 2000 Census showed that the neighborhood’s residents had a median age of 39 and that 49.3% had college degrees. The median family income in 1999 was $61,741 ($80,011 in 2010 inflation adjusted dollars). Homes here are generally smaller in size and prices tend to fall on the north side of $500,000, with numbers over 1 million common. However, many homes have been fully restored, require few improvements and still maintain the charm and character of the older neighborhood. 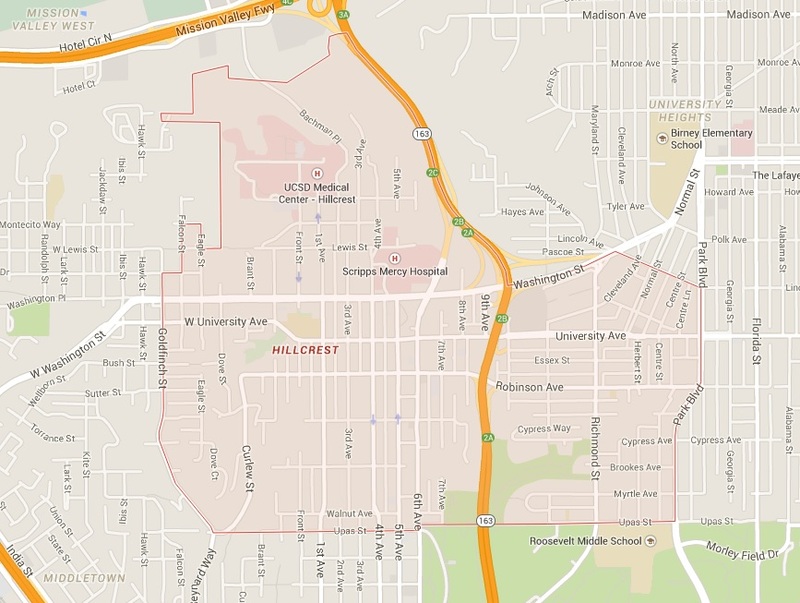 Think you want to live in Hillcrest? Send an email to info@bcsres.com or call 858-638-7000, we’ll be happy to see what you qualify for and walk you through the process.